THIS CLOWN AROUND JUMP is Awesome for all ages and has enough bouncing room for 5-6 kids at a time! 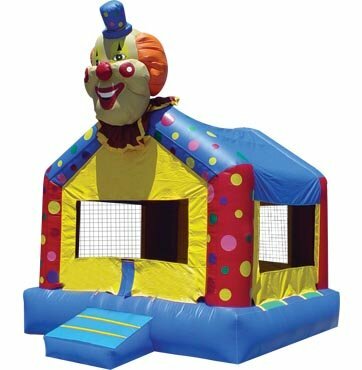 You and your friends can be as goofy as you want as you clown around in this awesome unit. This inflatbale aslo has a safety ramp and with breathable netting so the kids can ahve fun but help stay cool at the same time.